Saltah'na energy spheres Telepathic receptacles storing the memory of an ancient power struggle that destroyed the Saltah'na civilization. Once transferred to members of other species, the memory would cause them to re-enact the fight (DS9: "Dramatis Personae"). Sarium krellide power cell Energy storage device, used e.g. in 24th century shuttles (TNG: "In Theory"). 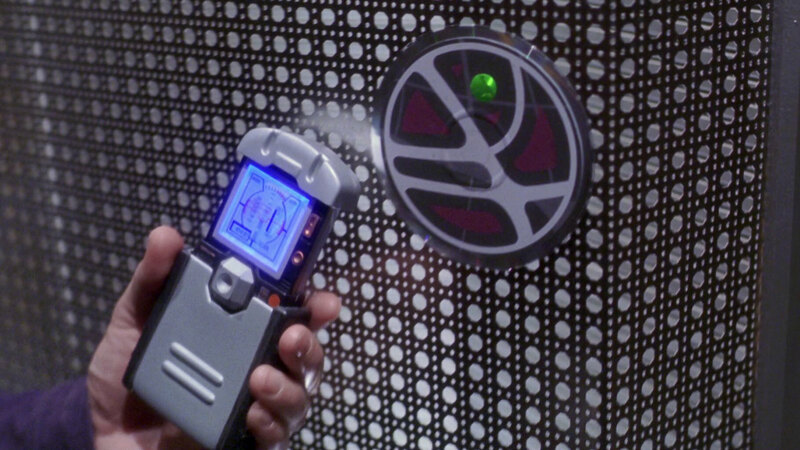 Also mentioned in the TNGTM as phaser power cell, this is obviously meant to be a further development of krellide cells (ENT: "The Andorian Incident"). Saucer separation Disconnection of the engineering hull and main hull (saucer) of a Galaxy-class starship. The commander may resort to saucer separation in emergency situations, e.g. in order not to endanger civilians in a battle or in case a warp core breach is inevitable. 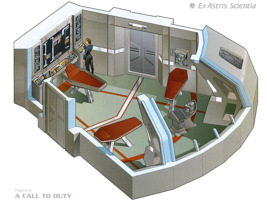 Prometheus-class vessels can even split in three independent parts (TNG: "Encounter at Farpoint", "Arsenal of Freedom", "The Best of Both Worlds", "Star Trek: Generations", VOY: "Message in a Bottle"). A saucer separation was mentioned as an option in TOS: "The Apple" (though here it is a matter of interpretation) and was originally planned for the Enterprise in the movie "Star Trek: The Motion Picture". 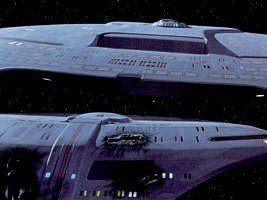 Since the engineering hull of the Constitution class has no impulse drive, it is obvious that the two sections are not independently operational, so separation is only an option in extreme emergency situations like an impending warp core breach. Scanner Generally, any sensing device that is capable of performing a sensor sweep. Somewhat more specifically, hand-held sensing and computing devices of the 22nd century were commonly referred to as scanners. In the 23rd and 24th century their descendants are known as tricorders (ENT). Sector Galactic subdivision, typically comprising a number of star systems (generic). Security access code See authorization code. Security clearance Hierarchical access control to places, systems and data. Security clearance is given in levels, with higher clearance level numbers usually indicating higher authority (generic). The usual range of clearances is between Level 1 to Level 10. Chief O'Brien holds Level 1 (DS9: "Whispers", "Tribunal"), while access to the Omega Directive requires Level 10 (VOY: "The Omega Directive"). 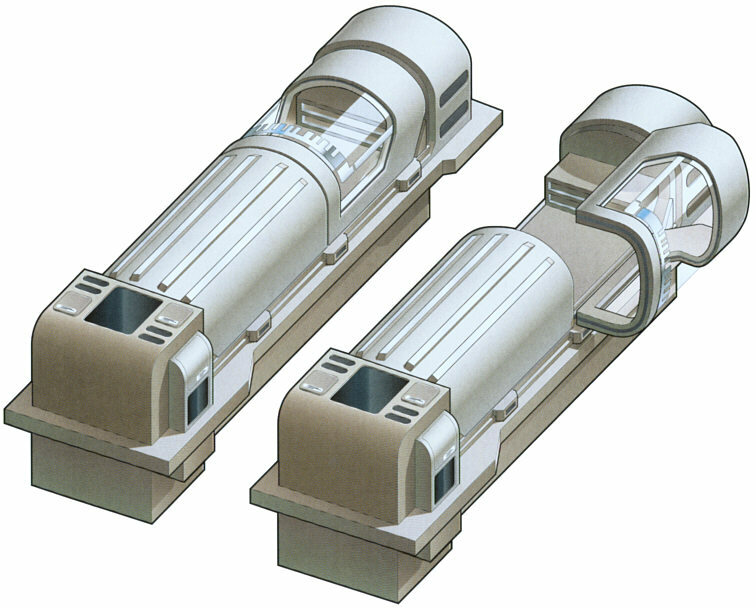 Seismic regulators Device used to control seismic activity in a planet's crust, to prevent earthquakes (TNG: "Time's Arrow, Part I", DS9: "Let He Who Is Without Sin..."). Self-replicating mine Explosive device, equipped with a matter/antimatter warhead and a replicator system. 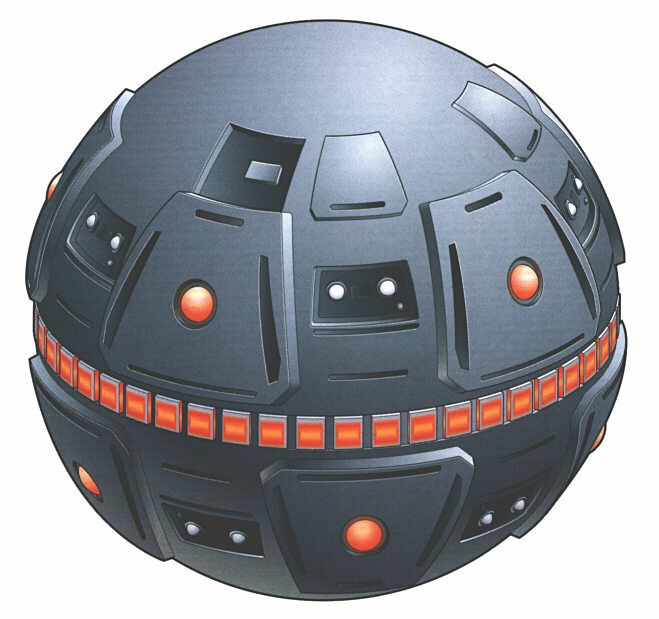 Deployed in the form of a shell, the self-replicating mines are able to fill in gaps by replicating new mines. The mines were first suggested by Rom in 2373 to prevent the Jem'Hadar fleet from entering the Alpha Quadrant through the Bajoran Wormhole (DS9: "Call to Arms", "Behind the Lines", Favor the Bold", "Sacrifice of Angels"). The concept of self-replicating mines is not really sound, considering that the energy and/or matter to replicate several new ones must be stored inside each of the mines. 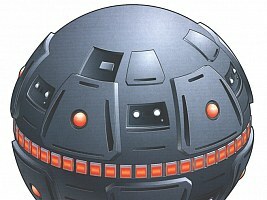 So the replication of new mines would be no help against the scenario that Dax outlined that because of the limited power of small mines, "we'd run out of mines before they ran out of ships." Self-sealing stem bolt Mysterious device that even O'Brien does not know what it is useful for (DS9: "Progress, "Prophet Motive", ENT: "Anomaly"). Sensor Collective name for a variety of devices for gathering data about electromagnetic radiation and particles and for chemical, biological and medical analysis. Probes are equipped with a variety of sensors. External sensors are attached to the outer hull of a starship. Among them are navigational sensors to determine the ship's position and velocity and scientific sensors for astronomical observation, planetary surface analysis and remote lifeform analysis. Internal sensors are used to control life support and detect hazardous environmental conditions as well as to track potential intruders. Finally, sensors are also included in tricorders and other hand-held devices that can perform similar tasks, however, with a limited range (generic). 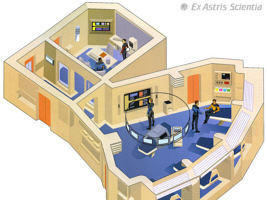 Real-world sensor systems will soon accomplish the basic functionality shown in Star Trek. However, subspace sensor beams traveling faster than light are as utopian as warp drive. The Ferengi ship attacking the USS Stargazer apparently did not have FTL sensing capability and perhaps no active sensors at all, so Picard could fool its sensors with his famous "Picard Maneuver" (TNG: "The Battle"). Irrespective of the signal speed, there is a severe problem with long-range sensors. At short distances, with something like a normal photographic lens, it is no problem to show an approaching starship at great detail. Collecting light from a few light years away, however, with a "super tele lens" would mean waiting for random photons coming from that direction - it is impossible to form an image, let alone a sharp image in real time this way. That's why we must find our explanation in subspace (again). Subspace obviously allows the transmission of electrical signals over long distances without significant losses, so it could be a "subspace image" of the remote ship. Shapeshifting inhibitor See quantum stasis field. 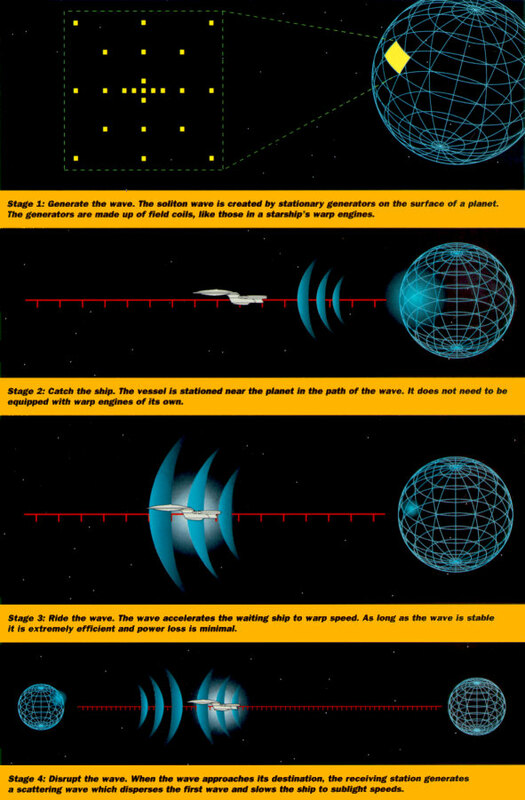 Landing of USS Voyager in VOY: "Basics I"
Ship landing Procedure of landing a starship. Only few Starfleet vessels of a size larger than a runabout are capable of landing. The Intrepid class is among them. Prior to entering the atmosphere, blue alert is issued on the ship, and the landing struts are extended (VOY). Shuttlebay Formerly called hangar deck, facility on a 24th century starship where shuttlecrafts can land, be stored and maintained. The space door is usually closed, and is replaced with a forcefield when a shuttle is about to land or to be launched. This forcefield can be penetrated by the shuttlecraft itself, while it prevents decompression of the shuttlebay. Each shuttlebay is equipped with a tractor beam generator in order to facilitate the landing procedure (generic). Shuttlebus Public transportation on the planet Rutia IV (TNG: "The High Ground"). Shuttlecraft Small space vessel for short-range transport with a typical crew capacity ranging from 1 to 8. Shuttlecrafts are equipped with impulse drive, most types also with warp drive (generic). The TOS shuttlecraft was not supposed to have warp drive (although its nacelle looked quite similar to the Constitution-class warp nacelle). Anyway, if the shuttles of TNG, DS9 and Voyager are really capable of no more than Warp 2 (Star Trek Fact Files) it would take about a year to cross the distance even between directly adjacent star systems, and their warp drive would be useless. 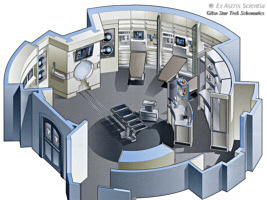 Sickbay Medical facility aboard a starship or space station, usually consisting of a central examination room equipped with biobeds that also serves for all kinds of medical treatments including surgery, a lab, an office, additional recovery rooms and special installations like an isolation ward or a decompression chamber (generic). SIF Acronym for Structural Integrity Field, a network of forcefields built up around and within a starship in order to counterbalance acceleration forces and gravitational forces. Mostly referred to as structural or hull integrity (generic). The SIF actually keeps the spaceframe in one piece. Many Federation starships cannot even sustain the gravity of a planet, and USS Voyager might virtually fall asunder when standing on the surface without SIF. 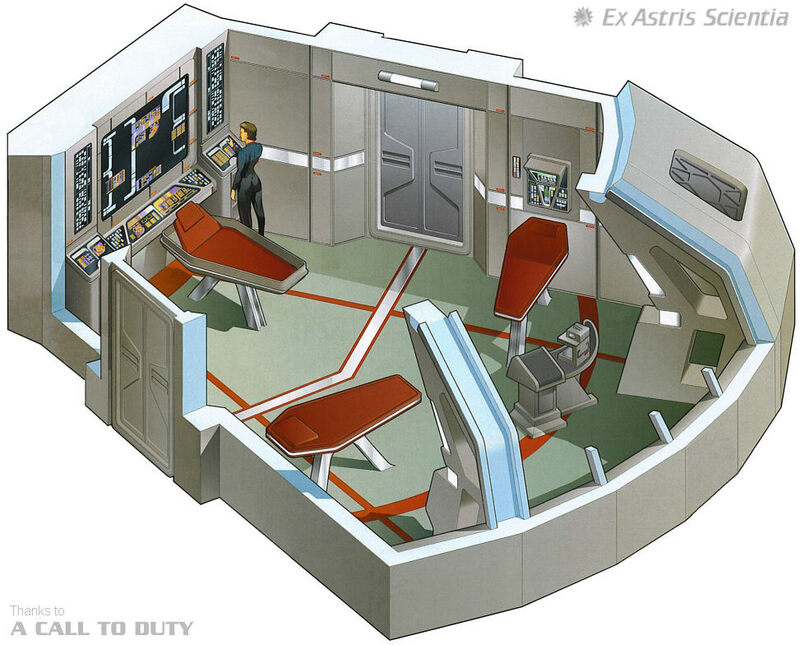 Site-to-site transport Common procedure of transporting personnel from one place to another on the same starship. Preceded by 23rd century intraship beaming, which was still deemed dangerous (TNG, DS9, VOY). Sleeper ship Type of interstellar starship that is equipped with cryonic chambers to keep the crew in suspended animation during a journey of many years. Sleeper ships became obsolete after the invention and perfection of warp propulsion (TOS: "Space Seed", TNG: "The Emissary", "Star Trek Into Darkness"). In VOY: "11:59", Harry Kim claims that one of his ancestors piloted a sleeper ship as late as 2210. According to TOS: "Space Seed", sleeper ships became obsolete as soon as 2018, but perhaps this only applies to interplanetary flight and sublight speeds, so sleeper ships may have become common again for interstellar travel. Yet, we see fast warp drives in Star Trek Enterprise all the time, and not a single sleeper ship, which casts doubt on Harry's statement. Slingshot effect Time travel method with a starship that approaches a star at high warp and then quickly turns about (TOS: "Tomorrow is Yesterday", TOS: "Assignment: Earth", "Star Trek: The Voyage Home"). The effect is not supported by real-world physics. Yet, in the environment of a much higher gravity like of a black hole a time travel may hypothetically be triggered. Slipstream drive See quantum slipstream drive. Soil reclamator Farm equipment that allows to turn poisoned soil fertile again. Used on Bajor after the Cardassian occupation (DS9: "Shakaar"). Soliton wave Method of warp travel without shipboard warp drive. The soliton wave is generated by a stationary generator on a planet and directed towards the ship in order to accelerate it to warp speed. A second wave generator at the destination is required to dissolve the wave generating a counterwave with matching frequency, phase and amplitude (TNG: "New Ground"). The concept of the soliton wave seems to be quite similar to conventional warp propulsion, considering that a wave is nothing but a traveling field. Notwithstanding the simpler ship construction, soliton wave propulsion is problematic, since the ship is dependent on at least two wave generators, so it would only be useful for frequently used trade routes. 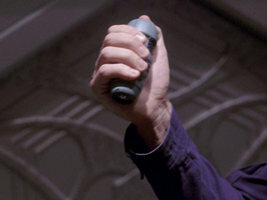 Moreover, the TNG episode demonstrated the risk of the wave that is hard to control once it is released and cannot be dissipated in the worst case. The idea of a wave that, instead of decaying, reinforces itself without power input is very questionable though. Somnetic inducer Medical device applied to patients who suffer from insomnia (TNG: "The Mind's Eye"). Sonic disruptor Type of Weapon used on Eminiar VII in the 23rd century. Sonic disruptors appears as hand weapons and as orbital defense weapons alike (TOS: "A Taste of Armageddon"). The prop was later modified to act as the Klingon disruptor. The name "disruptor" was obviously adapted too, albeit for the Klingon weapon without the attribute "sonic". Since sonic means sound-based, we have to wonder anyway how these weapons could be directed at ships in orbit. Also, their power specification as given in the episode is absurd: "18 to the 12th power decibels". 18^12dB is already bogus, because no engineer would specify something in powers of 18. Anyway, in powers of 10 it would give us as much as 1.1 quadrillion decibels! If these are the same decibels used to measure sound today (most commonly known the A-weighted sound pressure level dBA), this would surpass the auditory threshold that is around 0dB by a factor of 10^18^12 or 10^216! Even if, for some reason, the 0dB level were shifted in the 23rd century towards a higher sound pressure, it would still be utterly impossible. Whoever wrote the line may have heard of the logarithmic dB scale, but instead of choosing a small dB value as it could theoretically occur naturally (<200dB), did just the opposite as if the scale were exponential. Sonic separator Medical instrument (TOS: "Spock's Brain"). Dr. McCoy used such a device when he re-integrated Spock's brain into his body. Sonic shower Personal cleaning system in crew quarters aboard Federation starships. Besides sonic showers, old-fashioned bathtubs are usually available as well ("Star Trek: "The Motion Picture", DS9, VOY). (Ultra)sonic cleaning is widely employed in dental laboratories, precision mechanics or semiconductor manufacturing, where a detergent or pure water acts as the transducer for the ultrasonic vibrations (>20kHz) and also serves to solve and carry away dust or grease particles. 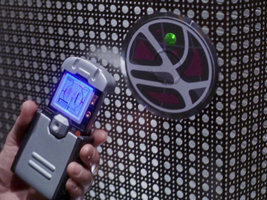 The showers featured in "Star Trek: The Motion Picture" and VOY: "Juggernaut", however, seem to be dry. Since mere air does not provide the desired efficiency in transducing the waves and washing away the dirt, an additional forcefield probably takes over the role of the detergent. Soong-type android Type of android developed by Noonien Soong. Known androids as of 2379 are: B-4 (active), Lore (dismantled), Data (deceased), Juliana Tainer (unbeknownst of the fact of being an android), Lal (deceased) (TNG). Space-folding transporter Device capable of transporting objects or people through manipulation of the structure of space (TNG: "The High Ground"). 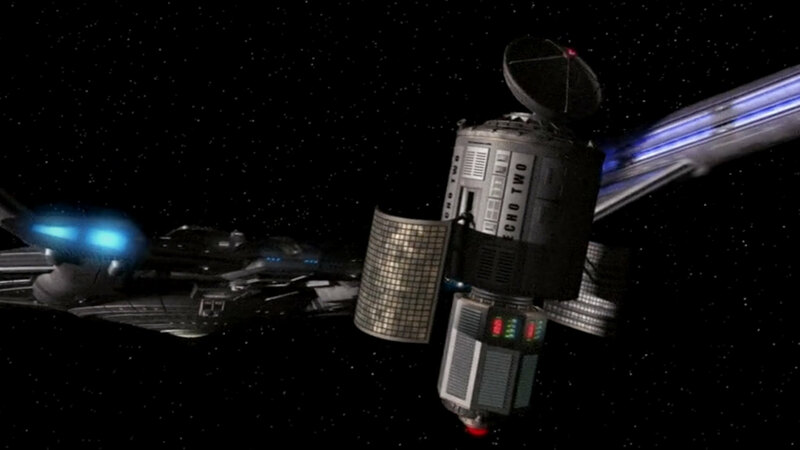 While the Ansata on Rutia IV use a crude space-folding transporter that causes cellular damage, the Sikarian trajector (VOY: "Prime Factors") seems to be a very advanced transporter based on the same effect. Spaceframe Skeletal structure of a starship. The spaceframe of a large vessel is usually designed to provide sufficient mechanical rigidity while the ship is at rest in orbit or open space. Stability during acceleration by propulsion systems or gravity, on the other hand, can only be accomplished by means of the SIF (generic). Mechanical rigidity is a decisive obstacle when designing large structures such as a Galaxy-class starship. Simply inflating all dimensions of a smaller starship by a constant factor is not possible, bearing in mind the fact that the volume will increase by the third power but the cross-section only by the second power. Hence, a strength deficit occurs whenever an object is scaled up, and a strength surplus if it is scaled down, as further explained in my scaling article. Therefore it is impossible that there are two sizes of Klingon Birds-of-Prey that look exactly the same. Spacesuit Pressurized garment for work in open space (generic). 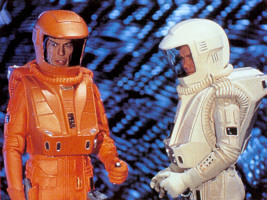 See also environmental suit. Spatial charge Projectile fired from a starship (VOY, ENT). It never becomes clear what any of the various spatial charges are composed of. Spatial charges appear for a limited time in VOY: "Dark Frontier", "Think Tank" and "Relativity" as Voyager's weapons. They seem to be rather crude and less deadly weapons than photon torpedoes. The same definitely applies to the spatial charges of Malon ships (ENT: "Night"), although the latter likely consist of antimatter (since the freighters are hauling "contaminated" antimatter waste anyway). Finally, spatial charges are also used by the MACOs on Enterprise (ENT: "The Shipment"). 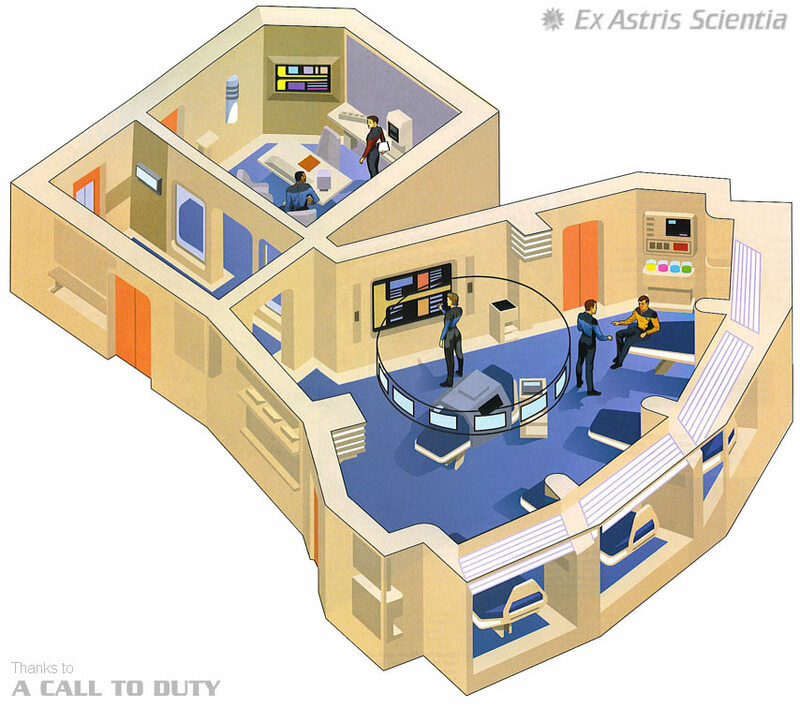 Spatial orientation system Subsystem of the holodeck, controls symmetry aspects of the simulation (TNG: "Ship in a Bottle"). The malfunction of this program in Moriarty's simulation caused Geordi to switch his dominant hand, exposing that he was just a hologram. Spatial torpedo Guided missile used on 22nd century Earth Starfleet ships (ENT). Species reassignment protocol See choH'a'. Spectral micrometer Engineering instrument to measure microcrystalline structures and assess their quality. The crystals that can be scanned include dilithium as well as common jewels (ENT: "These Are the Voyages"). Stamets navigating the spore drive in DIS: "Into the Forest I Go"
Spore drive Short name of the displacement-activated spore hub drive, a propulsion system that uses spores of the fungus named Prototaxites stellaviatori to tap the mycelial network running through the whole universe, and even parallel universes. Spore drive enables nearly instantaneous travel to other places. 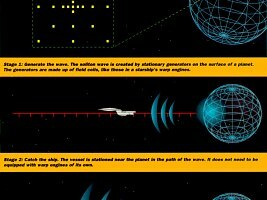 In the activation sequence of the drive the ship goes to "black alert". It then requires a navigator, who is able to follow the paths of the spore network (DIS). Standard orbit Simple name to describe the orbit a Federation starship usually assumes around a planet, not necessarily a synchronous orbit (generic). Starbase Extensive Starfleet facility which serves for maintaining and resupplying starships, for recreation and exchange of ship crews, for research, for medical supply, as a military base, as a place for interstellar trade and for administration. Starbases are either partially located on a planet surface, or they are realized in form of huge space stations (generic). Stardate System for time measurement commonly used in the Federation, resulting in a continuous date instead of e.g. DD:MM:YY format. Stardates are in use at least since the 23rd century (TOS, movies, TNG, VOY, DS9). The stardate obviously serves as a common standard within the Federation, taking into consideration different day and year durations on different planets that would make such references useless if applied to other planets. The system of stardates has been the subject of extensive discussions throughout the years. Originally, the stardate possibly referred to the Julian Date, which was introduced for easy calculation of time differences for astronomy and consists in a continuous day count. The stardate used in Star Trek, however, exhibits many inconsistencies, in particular concerning the discrepancies between the new 5-digit stardates in the 24th century and the 4-digit scheme in the 23rd century. The 24th century system is quite easy, because an increase of 1000 corresponds to one year or one season of a TNG, DS9 or Voyager production, but the TOS stardates do not fit into this system. Most likely we have to accept the fact that a new system has been introduced in the 24th century. In the Abramsverse the stardate is redefined yet again, now simply denoting the Earth year. Stardrive section See engineering section. Starship Designation for a large type of space vessel with warp drive. 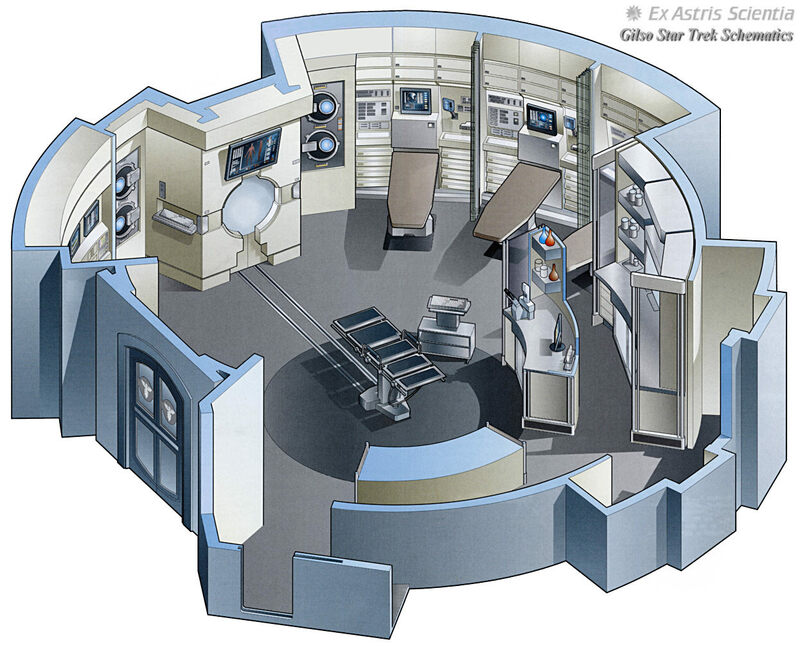 A starship typically consists of more than one deck and has separate departments such as the bridge, engineering or sickbay (generic). Stasis unit Medical device used to hold the patient in a state of suspended animation, in order to slow down the course of any form of disease until a treatment is devised or available (TNG: "Reunion", VOY: "Resolutions", "One"). In VOY: "One" the stasis units serve a rather unusual purpose when the crew, except for Seven of Nine, goes into hibernation to avoid damage because of prolonged radiation exposure inside a nebula. Stealth device Possibly less advanced form of a cloaking device (ENT). 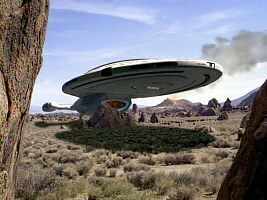 In the first two seasons of Enterprise when the Suliban customarily used cloaking, it seemed it a bit like the term "stealth device" was designed to suggest that their technology was not yet as advanced as the cloaking of the Romulan vessel would be in TOS: "Balance of Terror" more than 100 years later. Steinman analysis Multipart comparative medical test, in which current data on the patient are compared to a reference saved in the personnel file. The test includes a comparison of the hyperencephalograms (TOS: "The Lights of Zetar"). Stellar cartography Scientific department aboard a starship that maps celestial bodies (TNG: "Lessons"). See also astrometrics. Stratospheric torpedo Weapon launched from a ship into a planet's atmosphere (DS9: "For the Uniform"). Michael Eddington used an stratospheric torpedo to poison the atmosphere of Cardassian planets with cobalt diselenide. 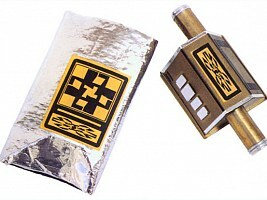 Stun grenade Non-lethal short-range weapon designed to stun humanoids. 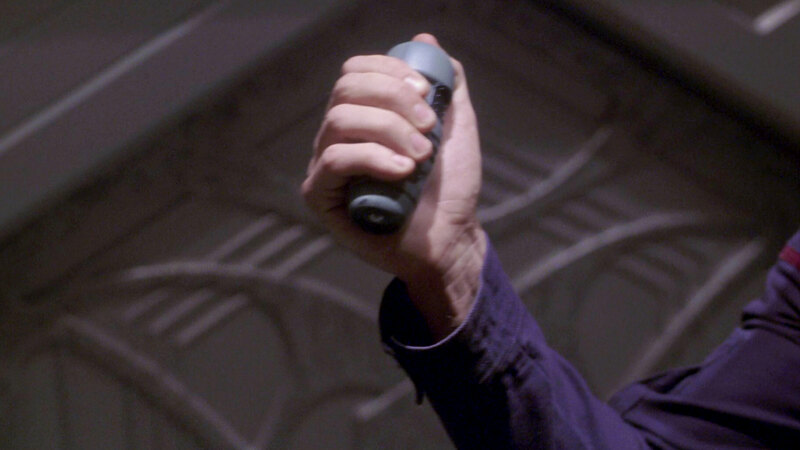 Stun grenades with delayed detonation belonged to the inventory of Enterprise NX-01 (ENT: "Terra Nova", "Shockwave", "Anomaly", "Damage"). Subcutaneous transponder See emergency transponder. Submicron matrix transfer technology Method to replicate neural pathways (TNG: "The Offspring"). Data used this technique to create Lal's neural network as a copy of his own positronic brain. Submicron scanner Engineering device of the Pralor Automated Personnel Units (VOY: "Prototype"). Submicron suture Medical instrument suited to seal delicate wounds (VOY: "Lifesigns"). See also autosuture. Subquantum transporter Transporter capable of beaming people from planet to planet. Devised by the inventor of the conventional transporter, Emory Erickson, in 2139 (ENT: Daedalus"). The idea sounds very similar to that of the below subspace transporter of the Ferengi or the Dominion. Anyway, it would have been an extreme stretch if a few years after the first normal transporter worked a further development had almost succeeded. Fortunately for the credibility of the story and unfortunately for Erickson who lost his son in the test the turned out fundamentally flawed. It is incredible though that his son's pattern has almost survived in subspace or wherever he spent all the years. Subspace Domain outside the normal three-dimensional space, rather than another dimension. Effects of mass/energy transition to subspace allow apparent FTL velocities and are used by the warp drive, computer system and subspace radio (generic). Although subspace is probably the most frequently used Treknology term and seems to be involved in almost any 24th century technical device, it is not further explained, neither in the show nor in official publications. Subspace has to be accepted as a basic concept necessary to enable the miraculous 24th century technology. According to the ingenious subspace field theory by the physicist Jason Hinson (see his website), subspace is "a continuum that exists in conjunction with our own space-time continuum. Every point in our universe has a corresponding point in subspace. Also, at every point in our universe, subspace has a particular frame of reference." Read much more about subspace (partially conjectural). 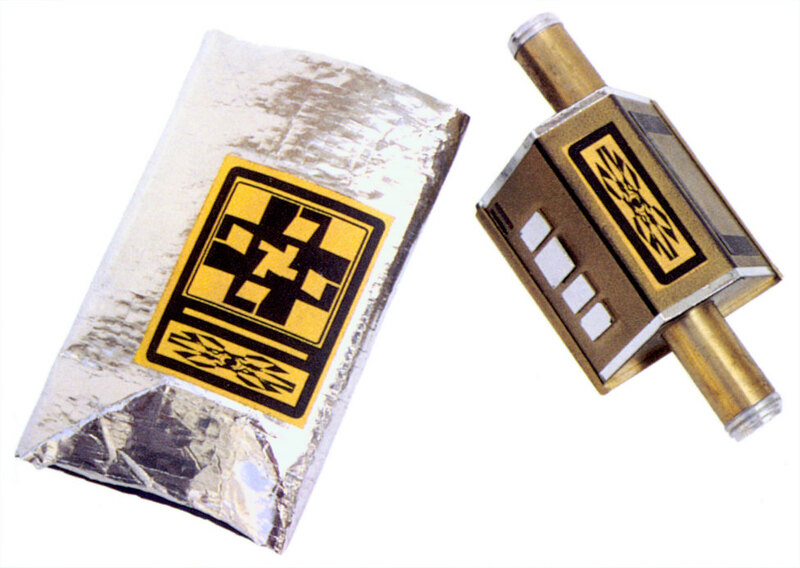 Subspace amplifier Beacon that can be deployed from Earth starships operating in deep space in the 22nd century, in order to improve communication with Earth (ENT: "Fortunate Son", "Silent Enemy"). The amplifier apparently works like a 24th century subspace relay station, only supposedly across much shorter distances. In this light we need to wonder how real-time communication with Earth is possible in the 22nd century even prior to deploying any of these amplifiers. As explicitly stated in the communication between Archer and Forrest in "Fortunate Son", none of the devices had been dropped off so far. Subspace field Special type of forcefield that extends into subspace and is able to alter its structure or geometry. A subspace field facilitates propulsion and signal transfer. The subspace field strength is measured in units of cochrane (generic). Above a subspace field stress of 1 cochrane the subspace field becomes a so-called warp field, allowing FTL travel of starships and signals (TNGTM). Like the definition of subspace itself, the subspace field is better explained by Jason Hinson (see his website) than by canon sources. According to his theory, a subspace field generator produces a subspace distortion that is counterbalanced by subspace itself, so the actual subspace field is the resulting field of both. The impact of a subspace field is that any mass within the field partially "submerges" into subspace, allowing propulsion of a starship with less energy expense, for instance. Subspace mine Explosive weapons that are hidden in subspace. Different races use them in open space or as miniature versions for ground combat (DS9: "The Siege of AR-558", VOY: "Warhead", "Workforce"). Subspace radio Form of ship-to-ship or interplanetary communication that takes advantage of subspace physics and allows faster-than-light (FTL) signal transmission. A network of subspace relays within the Federation territory ensures that no inadmissible signal decay occurs in case of long distance communication (generic). The maximum possible velocity of signal propagation in the 24th century is Warp 9.9997, which is significantly faster than any starship. Unlike it is with an EM signal, the speed of a subspace signal depends on its amplification, and without the subspace relays the signal would eventually "resurface" and slow down to the speed of light (TNGTM). 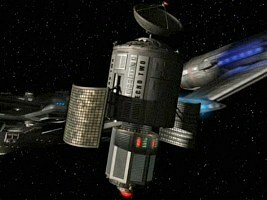 While subspace radio obviously existed on Enterprise NX-01 (ENT: "Broken Bow") and when the Romulan Neutral Zone was negotiated in the 2160s (TOS: "Balance of Terror"), the contemporary USS Horizon sent a conventional radio signal that arrived about 100 years later (TOS: "A Piece of the Action"). Subspace relay station Part of the Federation's network of subspace communication. A subspace relay is a space station manned with a small maintenance and monitoring crew and equipped with subspace transmitters and amplifiers. Such relays are necessary to transmit subspace radio messages across vast distances of many light years (TNG: "Aquiel"). Subspace transceiver See subspace radio. Subspace transporter Transporter type which transfers patterns through the subspace domain. Although their operation range may encompass many light-years and they are able to penetrate shields, subspace transporters are not reliable and therefore not employed by the Federation or other major species (TNG: "Bloodlines", DS9: "Covenant"). DaiMon Bok used a subspace transporter to get to the Enterprise in TNG: "Bloodlines", and the Enterprise crew managed to modify their own system to beam Capt. Picard to Bok's ship. 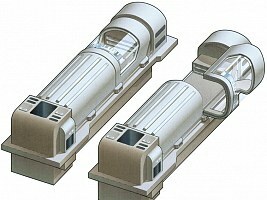 It is obvious that this type of transporter can penetrate conventional shields, since these do not extend into subspace. The Dominion transporters have the same two characteristics (long range and shield-penetrating), so it is obvious to assume these are subspace transporters too. Subspace weapon Weapon whose destructive force is based on the disruption of subspace ("Star Trek: Insurrection"). Subspace weapons are outlawed by the Federation because of their irreparable damage to subspace. Supernova Massive stellar explosion, more energetic than a nova. Supernovae are naturally occurring phenomena (TOS: "All Our Yesterdays", TNG: "The Last Outpost", "11001001", "Tin Man", VOY: "The Q and the Grey", "Counterpoint", ENT: "Civilization"). It appears to be possible to trigger an artificial supernova, which may be used as a weapon to destroy a whole civilization (DS9: "By Inferno's Light"). The shockwaves that Soran creates in "Star Trek: Generations", with a device that halts the fusion reaction inside a star, are not classified as "novae" or "supernovae" in the movie. In "Star Trek (2009)" the supernova comes with a destructive effect that travels at high warp speed (not unlike the subspace shockwave in "Star Trek: The Undiscovered Country"), otherwise it couldn't destroy the planet Romulus. Symbiogenesis Process in which one individual organism merges with another one to form a hybrid (VOY: "Tuvix"). Tuvok and Neelix were merged to Tuvix through a transporter accident. "Symbiogenesis" was also the originally planned title of the episode "Tuvix". Symmetric warp field Non-propulsive warp field (VOY: "Vis-à-Vis"). Tom Paris created a symmetric warp field around the unstable core of the coaxial warp drive prototype. Synaptic induction Medical method to restore lost memories (TNG: "Transfigurations"). Synaptic scan Technique devised by Dr. Ira Graves and by Dr. Noonien Soong to transfer a human memory to an android body (TNG: "The Schizoid Man", "Inheritance").